11" wide gel with an extra deep relief zone to relieve numbness in the groin and tailbone. The widest seat we offer. 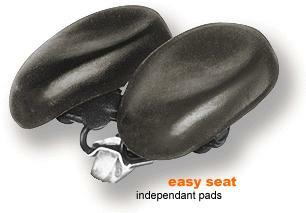 New larger pad cruising seat to help relieve pressure.